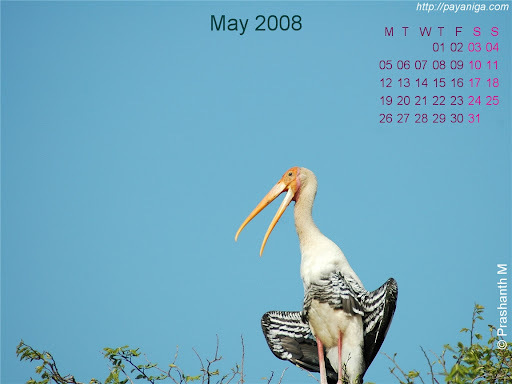 Desktop Calendar for May 2008. Background photo: Painted Stork at Kokkare Bellur near Maddur. nice.. the way he is squatting is funny.